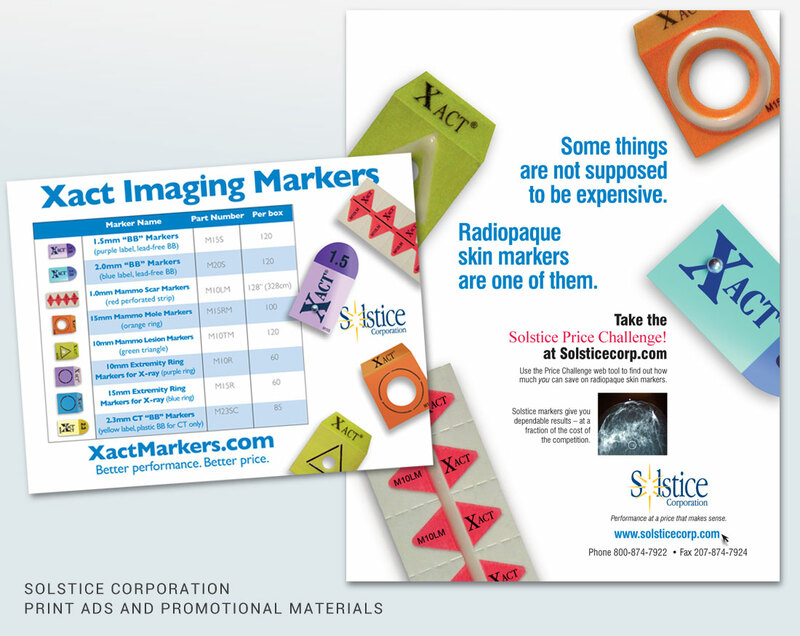 Wood and Company is proud to have partnered with Solstice Corporation, an international supplier of innovative medical devices, for many years to develop their Xact Radiographic Marker brand. 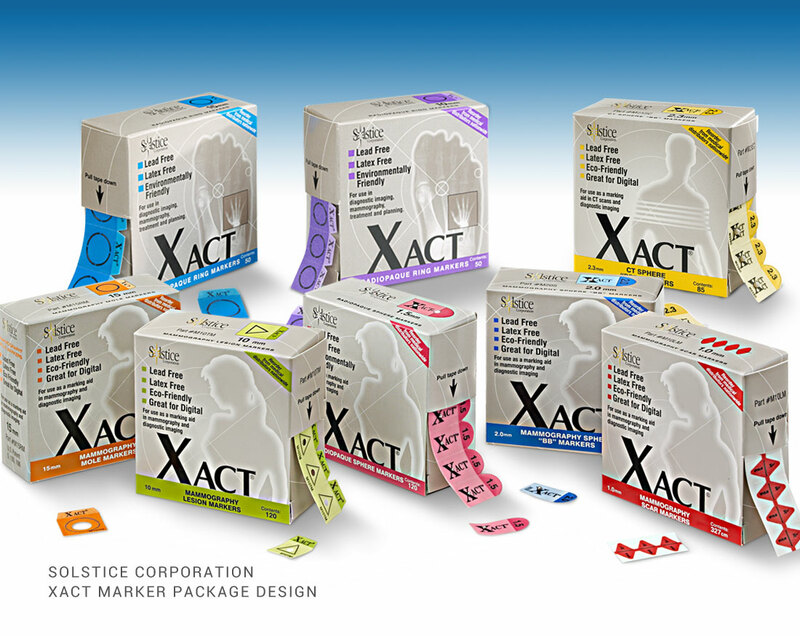 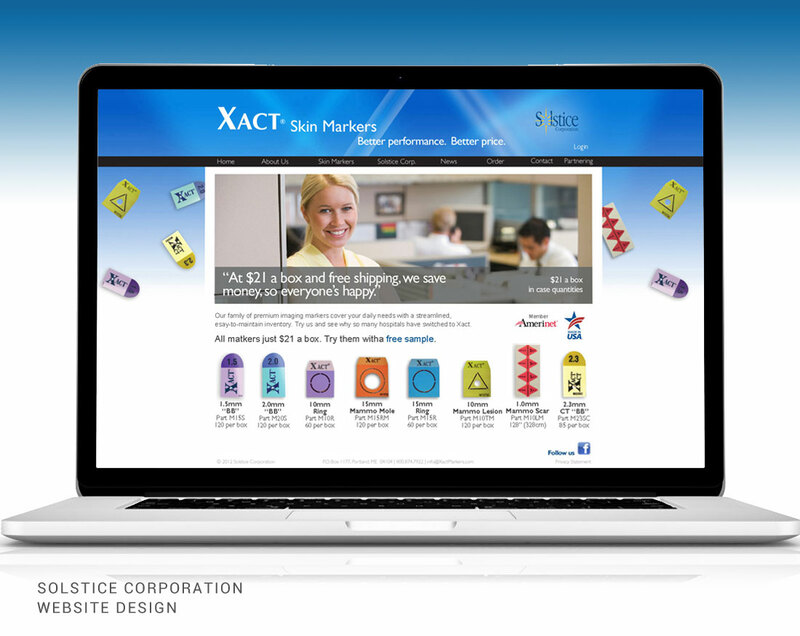 We designed the Xact Marker logo, and created packaging for the line of seven products. 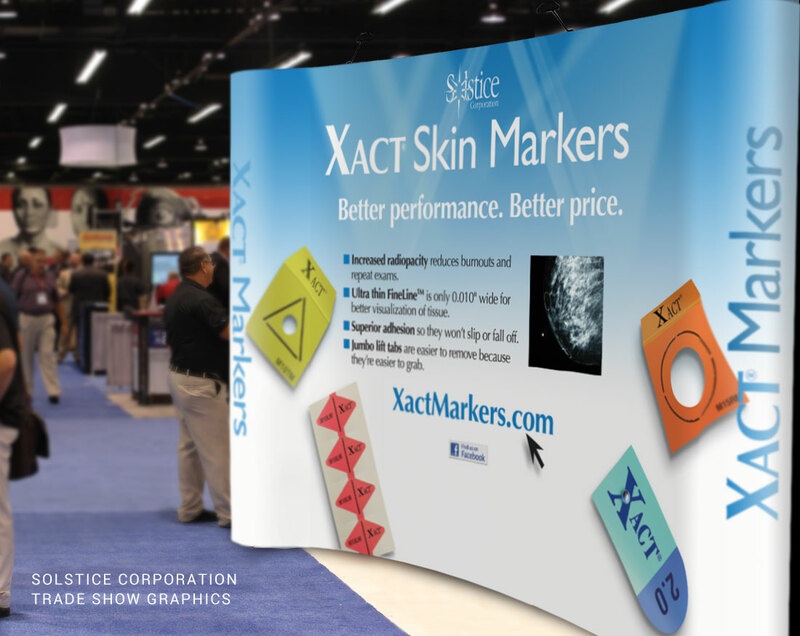 We’ve developed a range of marketing materials including ads, sales kits and display graphics that tell the story of the excellence of Sostice products. 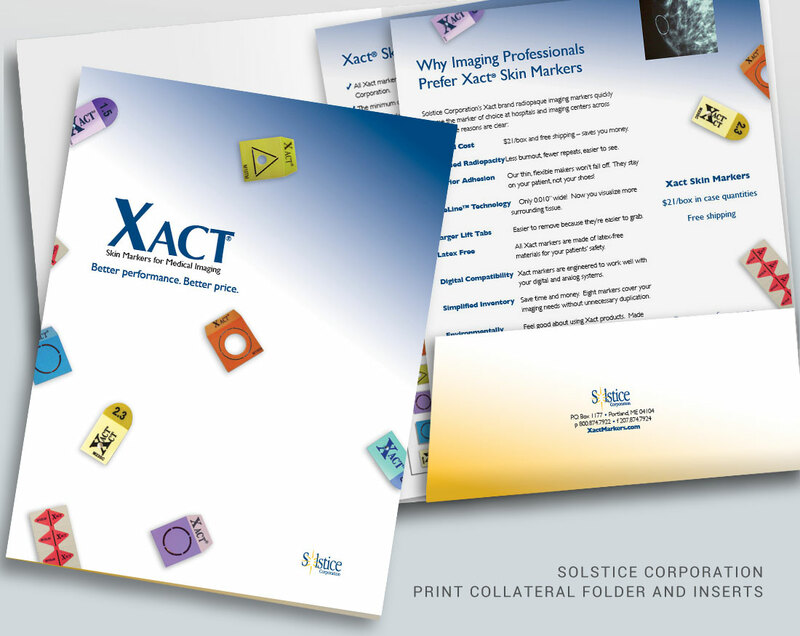 < See more of the Solstice Corporation website.